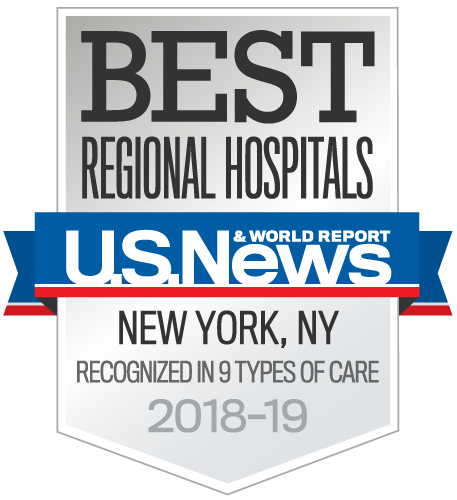 Children's Hospital at Montefiore (CHAM) has earned a coveted place on the U.S. News & World Report rankings of the nation's best children's hospitals for the eleventh year in a row. CHAM also maintains its leadership position in the New York State region, ranking #3 overall. 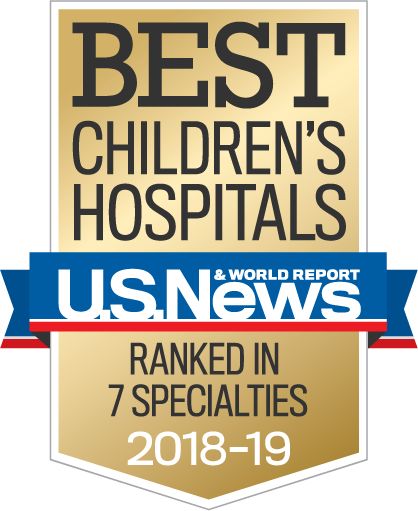 CHAM maintains its longstanding #1 ranking in the region for Nephrology; #2 in the region for Gastroenterology & GI Surgery, Neonatology, and Neurology & Neurosurgery; and #3 in the region for Pediatric Cancer. This year, Gastroenterology & GI Surgery advanced to the top 20 in the nation, demonstrating consistent strength, reflecting the division's collaboration between medical doctors and surgeons, as well as their cross-disciplinary, team-based care. CHAM ranks nationally in five out of six surgical specialties. Once again, Neurology & Neurosurgery make the list of CHAM's seven nationally ranked specialties, advancing to #26 in the nation. Neonatology, Nephrology, Orthopedics and Urology continue to place in the top 50. CHAM's national leadership results from exceptional team-based, family-centered care and the excellent outcomes achieved for our patients. 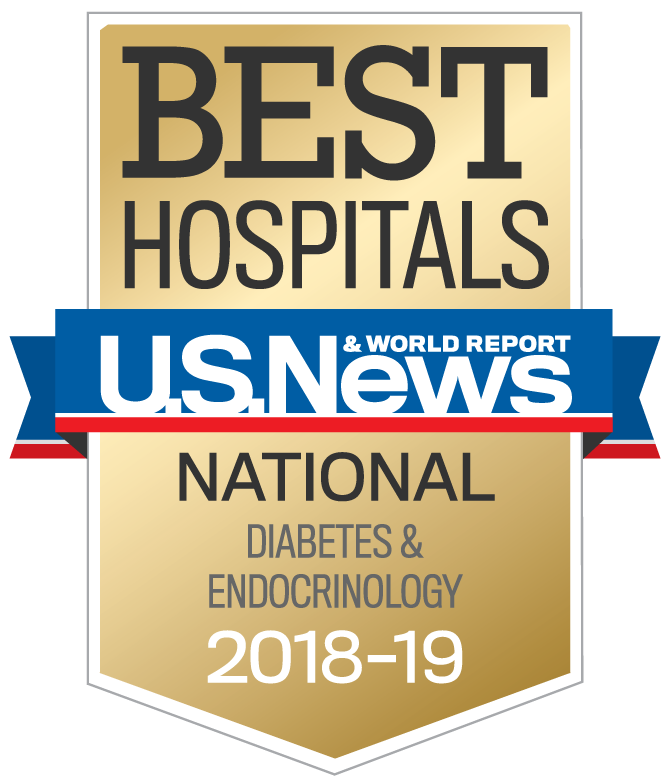 "We are so proud of our excellence in specialties such as neonatology and nephrology, and with CHAM ranking nationally in five out of six surgical specialties, we're especially proud of our leadership in this area," Daphne Hsu, MD, Physician-in-Chief, CHAM. Discover how we're doing more for children at www.cham.org. Montefiore Einstein Center for Cancer Care, which encompasses all divisions within Montefiore's cancer continuum, now joins an elite group of cancer programs that have earned a Three-Year Accreditation with Gold Level Commendation from the Commission on Cancer (CoC) of the American College of Surgeons. Montefiore also received the CoC's highest honor—the Outstanding Achievement Award—for quality care. This designation was awarded to only 6 percent of CoC-designated cancer programs across the country. These honors reflect Montefiore's outstanding clinical care and research, unparalleled social and emotional support, and outcomes for patients. Montefiore is currently running 41 National Cancer Institute Community Oncology Research Program trials with a goal to reduce health disparities. The 2017 CoC survey also commended Montefiore for its exceptional distress screening initiatives and education efforts tied to collecting and sharing community data. "Our focus is the patients and their support system, not just the cancer," says Shalom Kalnicki, MD, Professor and Chair, Department of Radiation Oncology, Montefiore Einstein, and chair of Montefiore's CoC Cancer Committee. At Montefiore, we're wired for success and noted in the new 2017 Health Care's Most Wired Survey, for our adoption of technology to support clinical care and patient safety and privacy, infrastructure, business and administrative management and the continuum of care. A leader in integrating technology into patient care, Montefiore has documented patient information using electronic health records (EHRs) for more than a decade. We are also aggressively moving forward to develop innovative technologies to ensure patient safety, more broadly to support accountable care and patient-centered medical home initiatives and harness technology to improve patient access to our healthcare providers. Health Care's Most Wired Survey is conducted by Hospitals & Health Networks and the American Hospital Association with the assistance of several experts in the field. Montefiore is proud to join Starbucks and Walgreens as one of only seven organizations nationwide to be named a Young Adult Employer Champion by The National Fund for Workforce Solutions. The National Fund promotes economic opportunities, and created this program to honor employers who provide high-quality jobs and successfully hire and retain 18- to 25-year old adults who are unemployed or underemployed. Montefiore has achieved Gold Star Status as part of the New York City Department of Health and Mental Hygiene's Tobacco-Free Hospitals Campaign, an initiative developed to support hospitals throughout the city in implementing comprehensive quit-tobacco systems. Commit to continuous quality improvement through the ongoing identification and treatment of tobacco-using employees and patients. Montefiore has earned The Joint Commission’s Gold Seal of Approval. This comprehensive evaluation measures the quality and safety standards of the hospital. The organization looks at the safety of patients, effectiveness of the treatment provided, and the environment of care. The Joint Commission is an independent, nonprofit organization, and is the nation’s predominant standards-setting and accrediting body in healthcare. Learn more here. 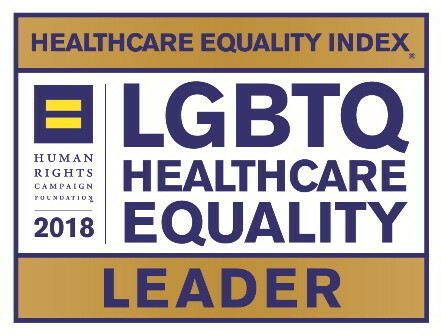 Montefiore’s commitment to providing equitable healthcare to LGBTQ patients and a safe, inclusive workplace environment for associates has been recognized by our designation as a Leader in LGBTQ Healthcare Equality in the Human Right’s Campaign’s Health Equality Index 2018. We achieved leader status for the second year in a row, and received a perfect score in this year’s survey. We recently celebrated this important achievement at the Montefiore Associate LGBTQ & Ally Social, featuring a performance by the New York City Gay Men’s Chorus. Please go here to learn more about LGBTQ Care at Montefiore. A meal in one of our cafeterias isn't your standard, stereotypical hospital fare. It's why we're proud that our Wakefield, Moses and Weiler Campuses earned a “Gold Star” recognition (the highest award possible) for our participation in the Healthy Hospital Food Initiative. As part of the initiative—run by the New York City Department of Health and Mental Hygiene—we revamped and took a healthier approach to the food and beverages served in our cafeteria, vending machines and patient meals. For the third year in a row, Montefiore's renowned Cardiac Surgery Program at the Montefiore Einstein Center for Heart and Vascular Care was awarded the highest three-star rating by the Society of Thoracic Surgeons , a nonprofit organization representing more than 6,000 surgeons, researchers and healthcare professionals worldwide. Montefiore was one of only two programs in New York City to receive the three-star rating from the STS, putting it in the top tier of heart surgery centers in the United States. 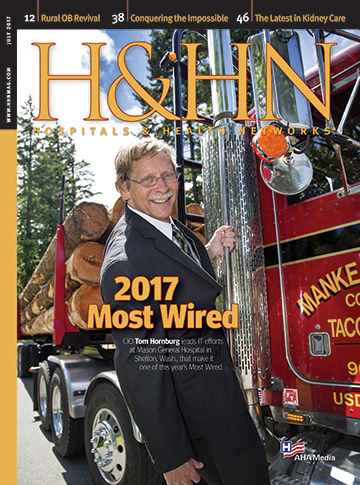 The STS rating was highlighted in a Consumer Reports cover story titled "The Business of Healing Hearts." In 2013, Becker's Hospital Review, a leading print and online source of hospital and healthcare industry news, included Montefiore on its nationwide list of 100 Hospitals and Health Systems with Great Oncology Programs. The hospitals named are on the cutting edge of cancer treatment, prevention and research, Becker's editorial team explained, with their selection based on clinical accolades, quality of care, demonstrated patient-centered care and contributions to the field of oncology. The Montefiore Einstein Center for Cancer Care was specifically recognized for its research partnership with Albert Einstein College of Medicine as well as for multidisciplinary and team-based care delivery, centered on patients and use of nurse navigators to coordinate and guide each step of the care process. The Stern Stroke Center at Montefiore is a primary stroke center designated by the New York State Department of Health. The Center treats more than 1,200 acute stroke patients per year, making it the second most visited stroke center in New York State. Meeting the State’s strict criteria demonstrates the strength of Montefiore’s highly skilled multi-disciplinary team, as well as our commitment to the quality care of our stroke patients.